Injuries can happen to anyone in sport, from the weekend amateur to the Olympic professional. Poor or improper joint position and mechanics will predispose to joint injury via altered loading and imbalanced ligament and tendon tension. These injuries can be from a simple sprain or strain of an ankle ligament, to a meniscus injury of the knee. The process of spinal injury is the same as a knee or ankle strain. The process of healing of these injuries is complex and understanding the phases of repair, gives us an understanding on the duration a particular injury might take. The acute phase can last two to four days, depending on how the patient treats the injury. During this phase, the injury is usually at its most painful, with potentially bleeding and swelling. The body’s aim is to protect the injury, limiting movement and recruiting supporting tissues to aid the injury and limit further pressure/movement of associated joints. 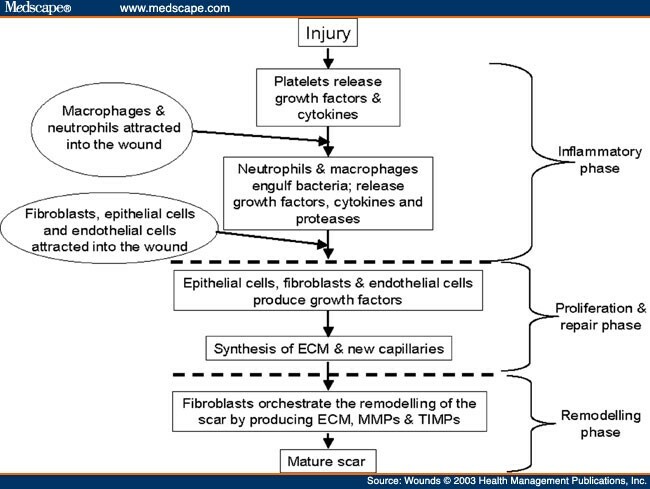 After the body’s protection phase and initial bleeding and swelling may begin to subside, the body begins to repair the injury site. 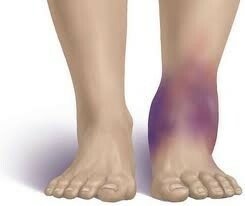 This phase can last up to 6 weeks post the initial injury. During this phase, the body removes excess swelling and begins to produce new tissue at the injury site. Tissue repair is still fragile during this phase and range of movement will slowly improve over this period. During Tissue remodelling and repair phase the tissue is still quite weak as we return from an injury. This results in range of motion of a damaged joint and tissue to still be limited initially. When our body detects that a repaired structure is still too weak for activity, the body will stimulate new additional tissue to help strengthen and support the healed scar tissue. This period can last up to 3 months and range of motion and agility will continue to improve during this period. This phase usually begins 3 months after the initial injury and can last months to years. 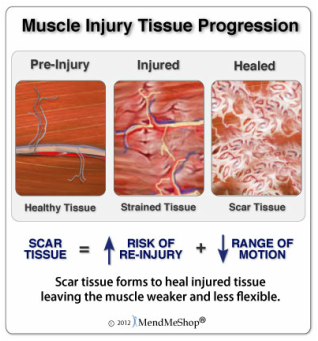 During this phase, the scar tissue should be healed, bruising gone and range of motion restored, however, if pain and limitation persist, it can be due to poor healing and overuse. During this period, treatment will continue to remodel tissue. Repatterning of joint behaviour and encourage range of motion is essential. Rehabilitation exercises should still continue, even if pain has gone, to avoid re-injury of the site. Chiropractic treatment is effective in treating injuries at each of these four stages. Like any professional treating an injury, the earlier a Chiropractor can begin treatment and the healing process, the better the outcome. Joint adjustments within 6 hours of the injury will optimize the bone position before swelling within the joint capsule. These adjustments will often produce almost “magical” results with significantly reduced injury and recovery phases. This occurs via a return of good proprioception and lymphatic drainage of the joint. Dr Matt Hardy has a special interest in sports injuries and recovery.